Marketing the latest tech using the latest web technology. 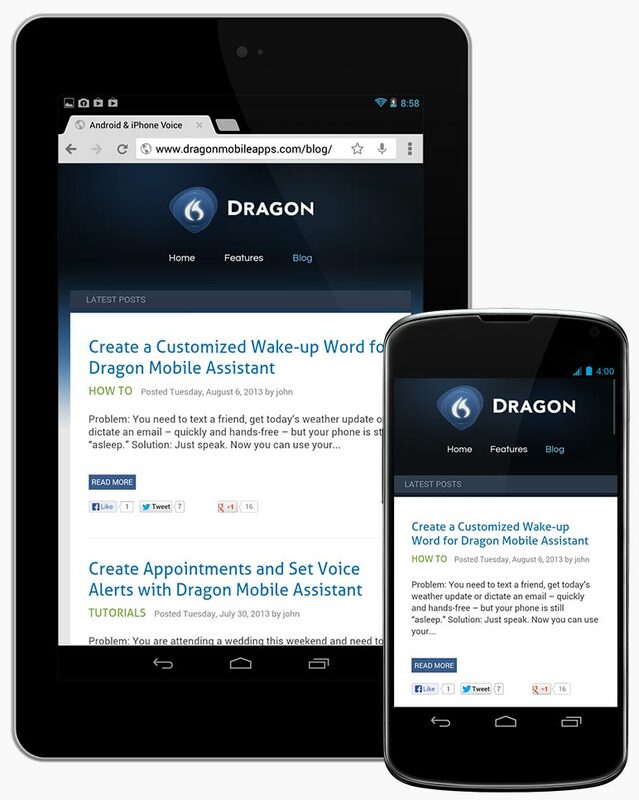 A solid relationship with a client can lead to outstanding results, as was the case with dragonmobileapps.com. 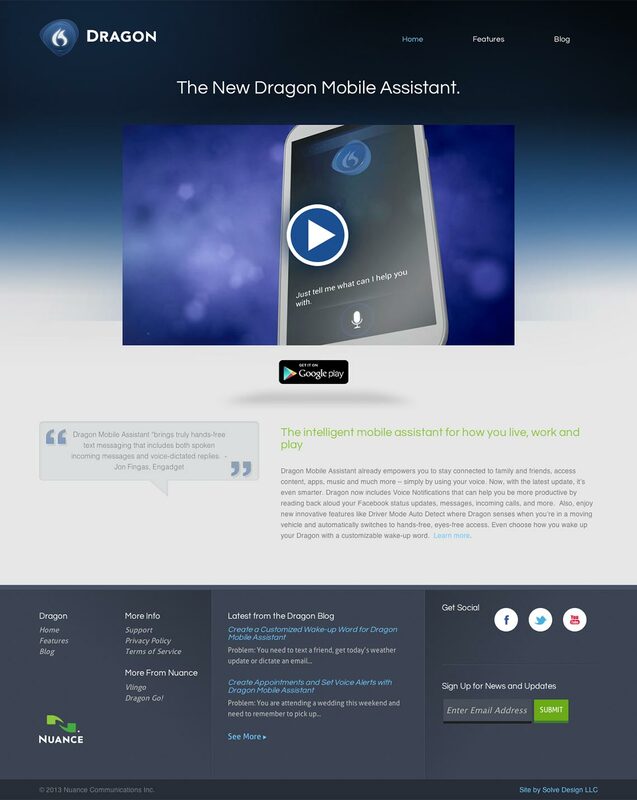 Nuance, a pioneer and leader in the voice recognition field, as well as a fantastic ongoing client, contacted us to create a standalone microsite to promote Dragon Mobile Assistant, their new voice activated mobile assistant. 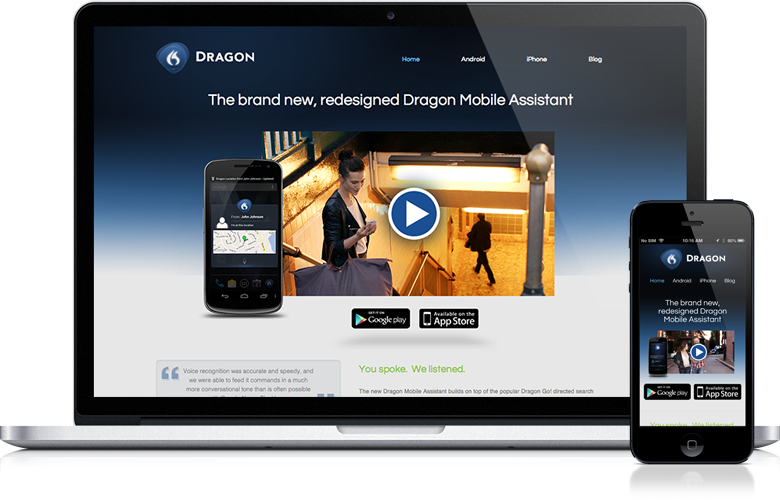 The task was simple – Create a marketing site that drove app downloads and was flexible enough to update as new campaigns were created in the future. Together, we created a simple yet compelling interactive marketing site that delivered clear results and performed beyond expectations. 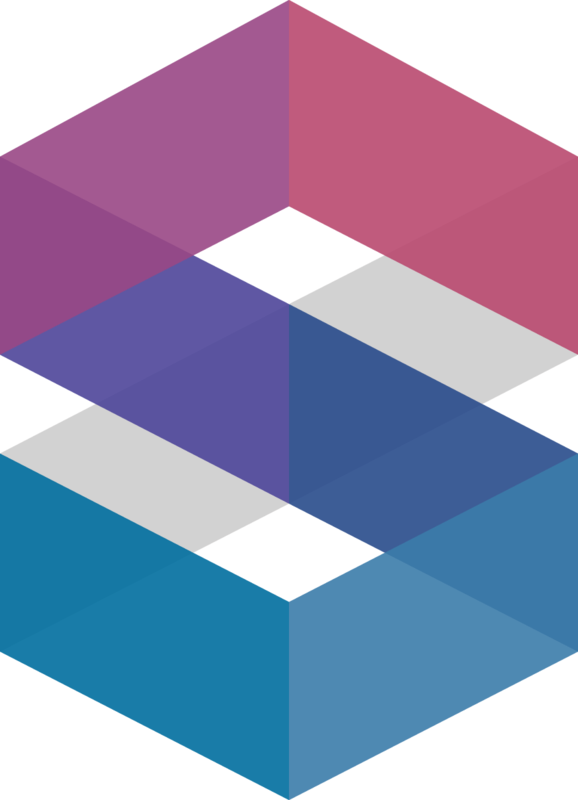 At Solve, we believe in an “all or nothing” approach. We consider ourselves partners with our clients, as their success is just as important as our own. 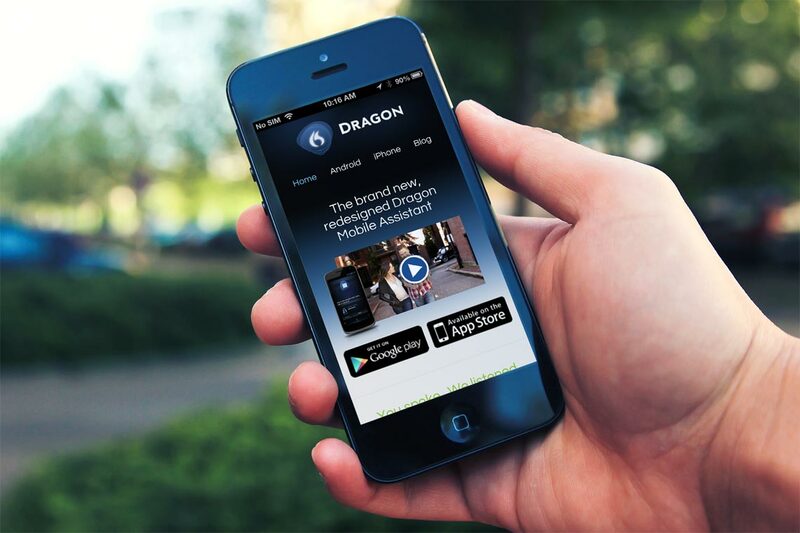 With dragonmobileapps.com, solid communication and camaraderie, along with a stellar product that every team member believed in led to an extremely successful end product that everyone involved could be proud of.